ROM Hacks: ROLL-CHAN: MINI WORLD (Game Gear) RELEASED!! 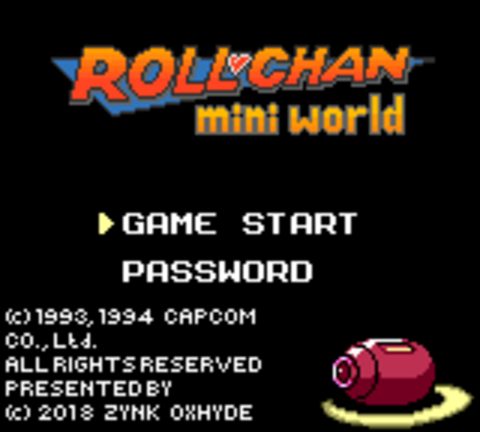 Re: ROM Hacks: ROLL-CHAN: MINI WORLD (Game Gear) RELEASED!! You know, I never realized that neither Regen nor Fusion properly scale the Game Gear screen, until I gave this hack a whirl. 200 x 144 pixels, my bum. So, I gave this hack a whirl, played Stoneman's stage up to the first Ball Thrown enemy, fell into a pit I couldn't see, and gave up. Zynk's hack is terrible and he is a bad person. No, but seriously… being able to play as Roll in such an obscure – and, largely unloved – game like this is really cool! I've only tried the 11 version, but the graphics in that are absolutely on-point, Roll looks super-cute, and the weapon palettes are varied and colorful. I'm going to really enjoy playing this game, again, as my favorite super robot girl! Thanks, Zynk! You are one very dedicated Roll fan! Edit: This game is very flawed in many important ways. But, the modifications to the graphics made the pain worth it.